When I was competing as a player and working on my game I did a LOT of solo hitting. I didn't take a lot of lessons and have very much guidance. I would spend multiple hours each week trying to improve my swing and consistency of each one. There are certain shots that are more challenging to practice without someone feeding for you. We can't practice the return of serve without a partner and getting into the flow of consistent feeding to groove certain swings is difficult to accomplish by yourself. From time to time I would gain access to a ball machine and I found them extremely useful. As a coach I now use one all the time. It's a fantastic learning tool and allows me to watch a swing and even film it in slow motion while someone is hitting multiple swings. I coach at St. Michaels University School in Victoria, BC and we are fortunate to have the Squash Cannon at our disposal. 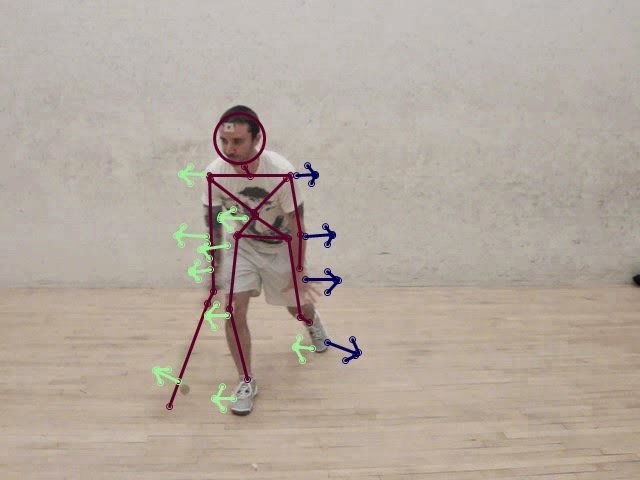 The Squash Cannon allows you to change the velocity and height of a shot as well as the interval time between shots. There is a built in heater which you can adjust which keep the balls warm. You can also use to alternate between 2 shots and we ordered ours with a remote. I often use the machine as 1 feeder and I use a ball and feed for another shot which makes it great to work on movement patterns too. 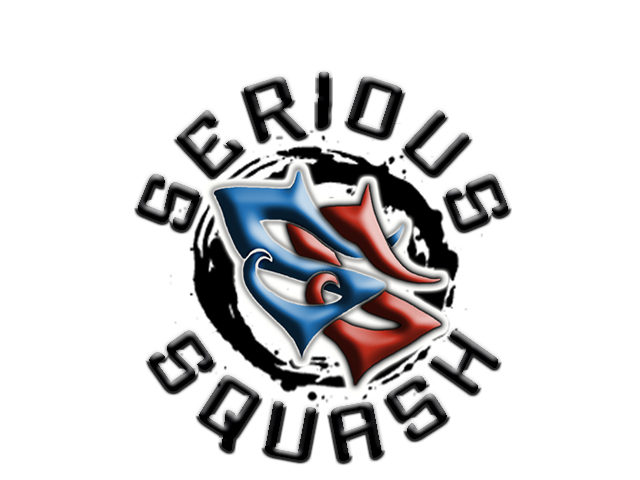 Today I am excited to announce that Serious Squash is now an official endorser of the Canadian made Squash Cannon and I will be helping to promote their great product. Please email SeriousSquash@SquashCannon.com if would like more information on the Squash Cannon. Below are a few clips I recently posted to the Serious Squash Youtube channel where I'm using the Squash Cannon to work on some backhand volley drops. Stay tuned for more videos and tips on how to best operate the Squash Cannon if you are fortunate enough to have access to one! I am once again running 2 weeks of Spring Break Junior Camps here in Victoria, BC at the Victoria Squash Club. The camps will run from 9:00-3:30, Monday - Friday. There are 2 weeks to choose from and I will be helped out by Giselle Delgado, #1 Chilean player, finished 5th in Canada in the Women's Open last year and she also plays professional on the PSA World Tour. The camp is limited to 12 kids and at this moment there are still 10 spots available. What is the point of a squash rally? What are you trying to do? Hit the ball away from your opponent? Hit the ball to the back? Many players have no strategy or just a very basic one and when we play someone like this you can have a certain amount of comfort in this. We know what shots we should go for and when we should play defence. Most people play pretty predictable, whether it's the right shot or not they hit shot x from position y without fault. I love playing people like this because often they are making predictable, yet poor decisions. If someone was predictable, but hit very good shots and with good choices that's a completely different beast, but we are talking about 99% of all us amateur squash players out there. Okay, time to get to the good stuff. Making good choices and being more accurate, hitting harder, being faster and fitter are all areas which we can improve and will help our squash game immensely. But some of us don't have perfect techniques or the time to do these types of things. Some of us are also just not genetically gifted athletes, and although we can always get faster and fitter we know we will never outslug or outrun some teenager who has endless amounts of energy and never tires. So what else can we do? Well I like to think about making life miserable for my opponent and you an do this in a number of different ways. Let's take a look at some of these. Getting your opponent out of their rhythm can not only help you win more points, it can also help you tire out and frustrate an opponent. Let's g through a number of ways which you can do this. 1) Don't be afraid to open up the court. Are you just playing straight dives until you get a loose ball? Is your opponent cheating with their movement because you never take any risks like playing the odd boast, drop or kill shot from the back. Even from the back of the court, if you have time and space and you pick the right time you can apply a lot of pressure by mixing things up with a short attacking ball. 2) Be super patient/disciplined. It's amazing what can happen when you get into a few 30+ shot rallies. All of the sudden your opponent could start to slow down and force mistakes. Simply extending the length of the rallies could take your opponent out of their rhythm if they enjoy the short quick fire types of points. 3) Pick up the pace. If you have the ability to do this you can really change the game. The ball gets bouncer, your opponent has less time to react to your shot. Changing the pace can definitely take an opponent out of their rhythm, especially if they like a controlled, medium or slow paced style of squash. 4) Aggressively hunt the volley. If you can volley a lot and not let the ball get to the back wall very often your opponent will tire quickly. You can hit volleys to all 4 corners and really work a player around and they will be unaccustomed to having such little time between shots and how fast they need to move. If you can do this you are most definitely controlling the points and going to win the war. 5) Use angles. Many people have difficulty covering boasts and crosscourt. It's also much harder to hit tight off of an angle than it is a straight shot. Some people also do not turn well and get caught leaning expecting the straight ball. I also love playing a few intentional shots down the middle. Even good players struggle with shots hit right at them. It's just not something practiced or expected. If you can hit a few good middle shots. disguise a boast and/or trickle boast your opponent is sure to never ask you for a rematch! 6) Slow the pace down. Some people just love a fast style of squash, so why play into their hands? If your opponent can do this better than you try and take pace away from them. This is what is known as the old lob, drop game. But if you want to play this way you have to practice it, because it takes a lot of ball control and focus to be able to play this way successfully at a high standard. 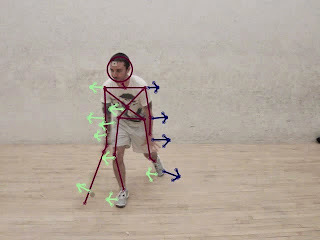 It's also a style you can try for patches within a match perhaps to extend a few points or even just to keep your opponent off balanced with a blend of height and paces. 7) Vary your pace. Many players tend to get into a 1 pace hitting. Even when they go short they hit heavy. Your opponent will eventually get more comfortable with your pace of play if you never change it up. There are also times when lifting or hitting down on a ball can be more effective. Just be cautious about getting stuck playing at 1 pace for an entire match unless that's your intention. 8) Get on the ball early/hold the ball. Getting on the ball early isn't simply about volleying. It's also taking a length before the back wall when you can and jumping on short balls earlier then you normally would. If you get on the ball early you force your opponent to recover to the T quicker and this will tire them out faster. If you have the skill you can also now decide if you would like to hold the ball (as example of this to the right where I've set up nice and square for a straight drive and late in the swing I rapidly accelerate my wrist/forearm to change the angle of the shot). Messing with the timing that you hit the ball is not only fun for you, but incredibly frustrating and exhausting for your opponent. I've done a lot of short hitting over the years, so this is something I do which makes the court play quite big and can make it easy to control rallies against most amateurs. 9) Contain your opponent. This is a style you would hear all the commentators say guys should try and play like against Ramy Ashour. Hit it straight so we can't use his amazing attacking skills. Anytime you play a boast or crosscourt and it isn't hit in the perfect spot it's asking for trouble. I also find this strategy can test someones focus and fitness. If you can get an attacking player into a rotating straight drive type of rally you are taking them out of their comfort zone. Maybe they are not very fit or they try forcing the ball in short. So you see, sometimes doing nothing is a strategy and it can be highly effective. 10) Change your serves and return of serves. People get into habits at how they start a rally. Most people only play 1 type of serve to start a rally and the same 1 or 2 return of serves. Even if struck well our opponents will do better against these shots as the match rolls on simply from the repletion and practice. If you can add in alternate serve or return once in a while it can lead to a different type of rally and you might even catch your opponent asleep at the wheel. I also suggest taking your time between points if your opponent is rolling off the points. I don't mean intentionally long stalling tactics, but you do get some time between points. Don't let them rush you if they're winning. Likewise for when your'e rolling. Get up to the service box and hit your serve and keep the momentum going when you've got it. A lot of this has to do with your opponent still mulling over their last mistake and starting the next point without refocusing. It's also highly effective when someone is upset, angry or tired. I call this fair gamesmanship, just don't be a jerk about it. People want to feel skillful when they play and they want to look and feel good about their game. We all want consistency and we tend to play people we like competing against and whom play the styles of squash we enjoy. We basically don't like change and this is what makes us become more predictable ourselves. If you really want to expand your repertoire try and play different styles and levels of players and pick 1 of the above methods and see if it works. Try a new 1 the next time and eventually you'll find the right combination, that is if and until they adapt and you have to again make adjustments to their adjustments. This is now a chess match about adaptations. Just have fun with it and don't be afraid to experiment. Even simply adding a condition to yourself in a match (without your opponent knowing) can be highly effective. You can even switch it up game from game. This could make it quite tough for your opponent to continually attempt to adapt to your adjustments, which also means you are the one dictating the game, not your opponent and this is what today's post is all about. Other Serious Squash updates: deciding between a sponsorship proposal or producing a Serious Squash signature limited edition frame. I'm also starting to brainstorm ideas for the 3rd instructional film. The last 2 weeks of March I'll be running full day advanced junior spring break camps. Registration is limited to 12 kid per week. 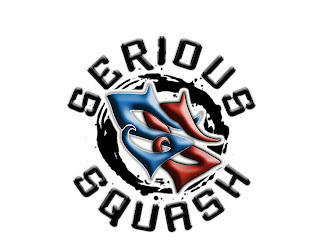 If you have a child interested in attending please email me at info@SeriousSquash.com for more information. In June I'm still sorting out details about a trip to Brazil to run some clinics for a bunch of clubs. If you'd like me to do this in your country please contact me as the summer is filling up quickly. I'm hoping to play the world masters in July and I run a lot of local junior training sessions here during July and August too. 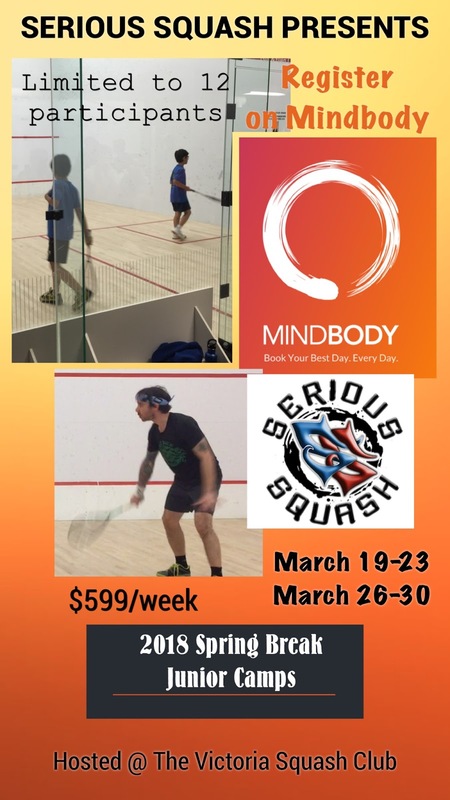 Lastly, I'm always looking for more connections with Serious Squash. If you have a company that you feel would work well with Serious Squash please feel free to contact me. If you'd like to advertise on my page, discuss endorsements or if you have a project or project that you would like to team up with me on don't hesitate to ask.